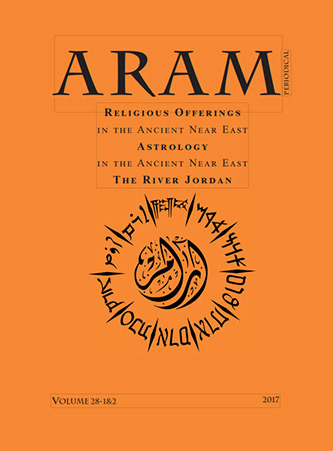 ARAM publishes a bi-annual periodical, one volume in two issues, in which the Conference talks along with many other related articles on the Syro-Mesopotamian civilisations and the Ancient Near East appear. The size of the ARAM Periodical is A4 (29.7 x 210mm), and each volume is approximately 500 pages. ARAM is a peer-reviewed periodical, supervised by an editorial board which reserves the full right to select scholarly articles for publication.